Mamma Coal came into being when Carra Stasney of Copper & Coal became pregnant in May of 2013. The band was in the studio recording their first album and nobody knew she was carrying a child, not even her. When things started to show, C&C's drummer Kevin Major started calling Carra Mamma Coal. And it just stuck. Meanwhile, the album, which featured seven of Carra's original songs, went to hit number one on the Freeform American Roots Music chart. When she got the idea to create a solo concept album about a young mother gone outlaw--re-imagining Willie Nelson's classic Red Headed Stranger--the name Mamma Coal couldn't have been more fitting. Re-imagining Edith Lindeman and Carl Stuz's classic The Tale of the Red Headed Stranger, Carra has created a parallel universe to Willie Nelson's classic concept album Red Headed Stranger. Weaving her re-tellings of Willie's story songs with interpretations of classics like Hank Williams' I'm So Lonesome I Could Cry and Buck Owens' Together Again, along with her own original compositions, Carra shares the story of a mother turned out-law when her baby boy is stolen by his no-good daddy. Reunited with her child, but now on the run, she encounters a rugged old cowboy who's hospitality is a blessing, but who's temper is too much for her to abide. Evoking timeless archetypes of motherhood and the fierce independence of a woman burned too many times, Carra takes her listeners on an epic journey where a love often neglected by songwriters holds center stage. "As in the Golden Era of country music, where male performers would release songs, and females would release answers in their own perspective (ex. Hank Thompson’s “Wild Side of Life” and Kitty Wells’ “It Wasn’t God Who Made Honky Tonk Angels”), Mamma Coal has made an answer to Red Headed Stranger from a strong female point of view, and in a way that both rises to the challenge, honors the original effort, and perhaps most importantly, highlights her gifts to music as a singer and songwriter." 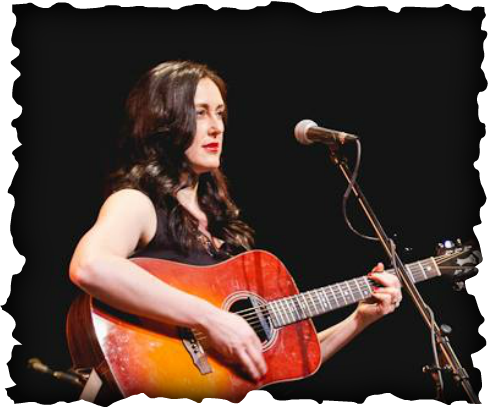 In June of 2012 Carra partnered with Leslie Beia (now of The Earnest Lovers) to create Copper and Coal, a honky-tonk band with a classic sound, focused on tight harmonies and original songwriting. Working with Caleb Klauder as their producer, Leslie and Carra created a strong self-titled debut, which went on to receive wonderful accolades. A lovely review was featured on Saving Country Music and later they were chosen for Trigger's Essential Albums for 2013﻿. They were interviewed by CMT Edge about their contribution to Deer Lodge: A Tribute to George Jones. The band was nominated for best Duo/Group, Pure Country category in The 18th Annual Will Rogers Awards. They performed in the Oregon Country Fair, West Coast Country Music Festival, and Siren Nation Music Festival. Carra and Leslie have threatened to come off hiatus at some point... We'll see!